Trooper Houk was assisted by Green County Sheriff, Robbie Beard. 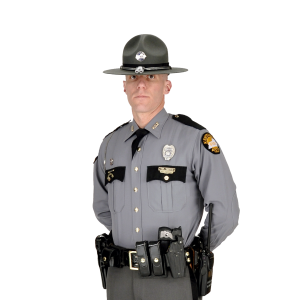 Taylor County, KY (January 19, 2019) – On January 18th, 2018 at approximately 1:32 PM EST Trooper Jonathan Houk responded to motorist assist on Black Gnat Rd, 5 miles west of Campbellsville. When Tpr. Houk arrived he made contact with the driver, 35 year old Brad Smith of Campbellsville. Tpr. Houk noticed that Smith showed signs of impairment. Consent to search the vehicle was given resulting in 3 small bags of suspected methamphetamine and a large sum of cash being located. Smith was arrested and charged with failure of non owner to maintain required insurance, failure to produce insurance card, DUI 2nd, and trafficking in a controlled substance 1st degree 2nd or > (2 grams methamphetamine.) Smith was lodged in the Taylor County Detention Center. Trooper Houk was assisted by Green County Sheriff, Robbie Beard.